Chrystia Freeland left a meeting with United States Trade Representative Robert Lighthizer Monday sounding like a minister in no hurry to ratify the revised North American trade deal while American steel and aluminum tariffs still apply to Canada–U.S. trade. “The existence of these tariffs for many Canadians raises some serious questions about NAFTA ratification,” the foreign affairs minister told reporters gathered on the sidewalk outside the USTR’s Washington offices. Freeland paused — and appeared to be choosing her words carefully — before saying that steel tariffs were the central topic of her discussion with Lighthizer. “These tariffs are completely unacceptable to Canada,” she said, repeating the words “illegal,” “unjustified” and “absurd” several times in describing them. Canada, the U.S. and Mexico signed their revised trade agreement on Nov. 30 after a bruising period of negotiation. America’s two NAFTA partners originally were exempt from its 25 per cent steel and 10 per cent aluminum tariffs when they were first imposed last spring through President Donald Trump’s highly unusual use of the Section 232 “national security” power. But by July, Canadian and Mexican exports faced the extra costs as well. Both countries responded with retaliatory tariffs on U.S. imports worth equivalent dollar values. By design, the retaliatory tariffs have been damaging to many U.S. industries and sectors, including its farm sector — all part of a political strategy to convince the Trump administration to lift its punishing levies. During the NAFTA talks, President Trump boasted about his administration’s use of “section 232” [of the Trade Expansion Act] tariffs as leverage to get a better deal. The taxing power was meant originally to protect American industries from national security threats, but Trump’s office has interpreted that broadly to include imports that compete with a domestic industry it considers essential. Freeland said the continued existence of the tariffs makes “even less sense now” that NAFTA has been re-negotiated. “I have heard from a lot of Canadians that they would be really troubled by Canada moving forward while these tariffs are still in place,” she said. The talks Monday included a discussion of NAFTA’s ratification processes in all three countries, she said. Canada tabled the text of the revised NAFTA agreement in the House of Commons on Dec.12. Parliamentary convention requires 21 full sitting days of the House before implementation legislation can be introduced. So the Canadian government could have introduced a NAFTA bill by now. While the federal cabinet ratifies trade treaties, it does so only after implementation legislation has passed in Parliament, readying Canadian laws and regulations to comply with the new terms. Canada has only a short time window to pass its implementation bill into law before Parliament rises for the summer, and before the federal election campaign scheduled for the fall. Similar implementation bills for other trade treaties have taken longer than the nine scheduled sitting weeks left between now and the end of June. 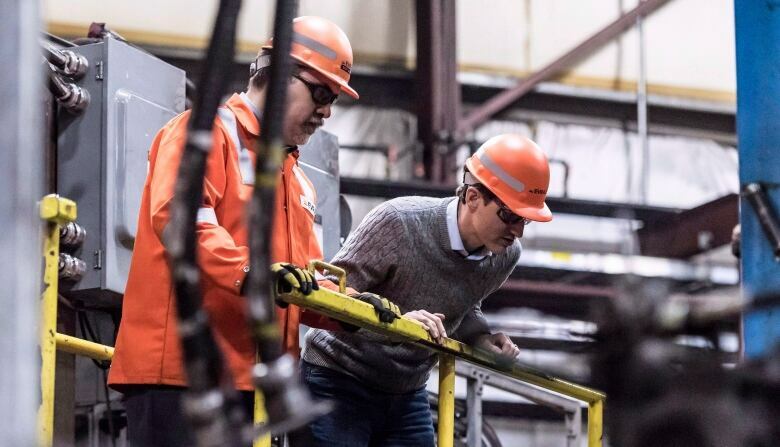 U.S. officials have suggested Canada and Mexico accept quotas on their steel and aluminum exports as a means to resolve the impasse. By setting the tariff-free threshold high enough — so the thinking goes — an agreed-upon level of NAFTA trade would no longer face extra costs, while U.S. producers would continue to be protected from any unexpected surges in North American supply. On Monday, Mexico’s Deputy Economy Minister Luz Maria de la Mora told reporters her government is opposed to quotas. Ottawa also has been unwilling to accept limits on its tariff-free trade in steel and aluminum. Mexico’s statement Monday would appear to signal a common front between Canada and Mexico aimed at getting the tariffs lifted without conditions. On Monday, the U.S. Court of International Trade upheld as constitutional the Trump administration’s use of “national security” provisions to levy tariffs on steel and aluminum. While the tariffs are costly for businesses and consumers across North American supply chains and throughout the continent, they are also lucrative for federal treasuries. In last week’s federal budget, officials estimated gross revenues from Canada’s retaliatory tariffs, from their start last July to the end of the 2018-19 fiscal year, at over $1 billion. 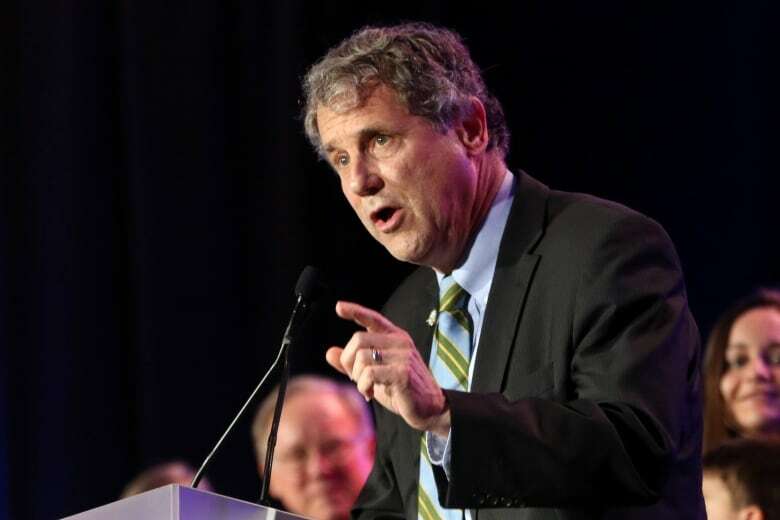 Later Monday, Freeland’s schedule included meetings with Senator Sherrod Brown, the senior Democrat from Ohio who frequently has expressed skepticism about the value of free trade deals. He’s suggested NAFTA is likely to stall in the current Congress and said he personally cannot support it without revisions to strengthen its labour protections. Freeland also met with Representative Earl Blumenauer, the Democratic chair of the House Ways and Means subcommittee on trade. His committee is set to begin scrutinizing the text of the revised agreement Tuesday; Blumenauer also said that he has reservations about the labour provisions and environmental protections. The chair is among those calling for a change to the deal’s longer protection periods for certain pharmaceuticals — something Democrats argue will increase drug costs for Americans. Freeland said she wouldn’t make any predictions about how U.S. lawmakers will behave, but added she’s heard from many American legislators who share Canada’s view that the tariffs are bad for both countries.